As Hurricane Irene quickly approaches the East Coast, we hope everyone will stay safe. Below is a list of top-rated nonprofits in the NYC, Boston, D.C., Philadelphia, Charleston, and Raleigh areas in addition to National Organizations that are preparing to respond. From helping people prepare disaster action plans, to providing food and shelter and responding to animals affected by the storm, these services will be crucial in the coming days. 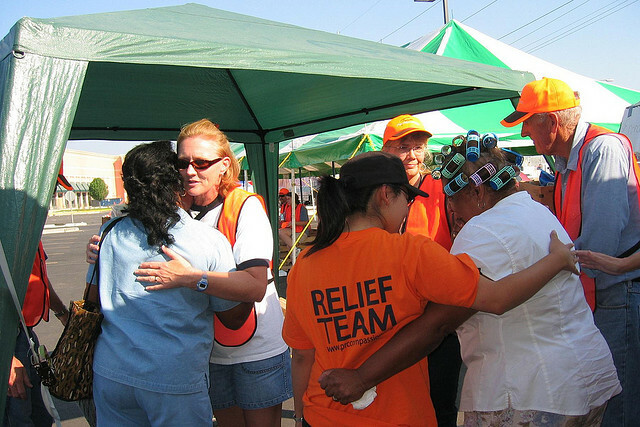 If you know other organizations that will be responding to the hurricane, please feel free to add them in the comments or email us at Emma@GreatNonprofits.org. We will update our list as more information becomes available. Please consider making a donation to one of the nonprofits listed below so that they can respond as quickly and effectively as possible following the storm. Drum Roll….What Supporters and Nonprofits Want! Thank you friends for completing our survey this month! We gathered extremely valuable information from your responses, which will help us better serve you. Below are some findings that we have separated for easy reading; hopefully you’ll find the responses as exciting and intriguing as we did! That reading reviews helped them better understand the organization’s programs. That reading reviews led to their decision to volunteer for a particular nonprofit. That reviews helped them better understand the nonprofit’s work. That reviews are considered helpful when deciding whether or not to give to the nonprofit. For example, Joell Dunlap, Executive Director of Square Peg Foundation, reported, “reviews have helped us raise $10,000 for our organization.” Specifically, Square Peg Foundation has used reviews in grant proposals and letters to donors. She said, “Using reviews by an outside, 3rd party, increases legitimacy of our foundation leading to increased donations.” If you haven’t already used reviews in grant proposals or in letters to your donors, try it! You will be surprised at what will happen as a result! Finally, CONGRATULATIONS to Audrey Evans, our GreatNonprofit User Survey winner! She’s receiving $50 to continue supporting her favorite nonprofit, Food for the Poor. Also, Lutheran World Relief is our nonprofit winner of a $100 spa gift certificate! Use it to relax for all the hard work you do every day. We’d love to hear your responses to these exciting results. Please feel free to comment below! We’ve been thinking a lot about what inspires people to get involved, to volunteer, and to give back to their communities. After all, our inspiration is what helps us decide which causes are most important to us, and how we want to go about making a contribution. Last week, we asked our fans on Facebook this question: If you could spend a day volunteering with one person (past or present) who would you want to volunteer with and why? We were so impressed with the responses that we felt we had to share them. We spent last week listening to the user complaints about these issues, and this week working with our engineers to make changes to improve the security. We have now closed the loophole in the registration system, restricted the ability to comment on reviews only to people who have verified official status with the nonprofit, removed reviews that violated our Terms of Service, and banned several users. We know that some of our users feel that we should have responded faster. We weren’t ignoring you – we were planning and implementing the technical solutions. We will do a better job next time communicating with you and even if we don’t have a solution, let you know that we’re aware of the problem and looking into it. So for most of you (who are not trying to hack our site), you won’t notice a difference in the site. The biggest difference is that only nonprofits can comment on reviews about them. So some of you who wrote comments responding to reviews and are not officially a staff of the nonprofit – sorry, we no longer support this feature. If you want to compliment the reviewer, vote the review as “helpful”. If you are officially with a nonprofit, and you wrote a comment but you don’t see it there anymore, it’s because you haven’t claimed the nonprofit. To do so, click the “Staff -Claim Org” button on the top of the nonprofit profile page and fill out your information. Then your comments should appear again automagically – voila! Enjoy the new security measures and thank you for your feedback! 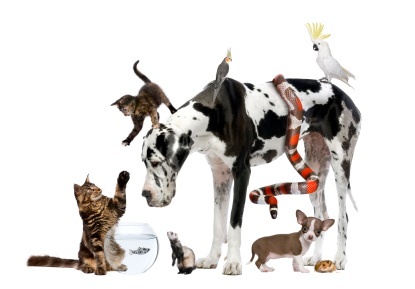 Are you a Top-Rated Animal Welfare nonprofit? The 2011 Animal Welfare campaign is about to get super exciting! GreatNonprofits is pleased to collaborate with Goodjoe, a community-based t-shirt company, on an animal welfare design contest. One of our Top-Rated nonprofits will be randomly selected at the end of the Animal Welfare campaign to participate in a design contest focusing on its mission statement. The nonprofit will receive 30 T-shirts with a cool logo inspired by its mission statement. And that’s not all! 50% of the proceeds of each shirt with the design sold on Goodjoe.com will also go to the winning nonprofit! What about the other “top-rated” nonprofits? The good news continues! 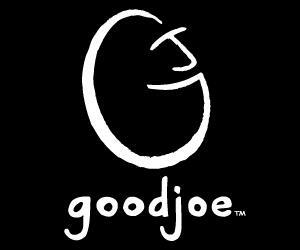 Selected Top-Rated nonprofits can benefit from Goodjoe’s fundraising drives where each nonprofit gets 25% of the sale of their promotional activities. Check it out at http://www.goodjoe.com/Fundraising/. – The lucky nonprofit could then encourage its constituents to order shirts with that logo on the Goodjoe website. Whenever a shirt w/ the design is ordered on Goodjoe.com then the nonprofit associated with the design gets 50% of proceeds. As a nonprofit, you gain new exposure for the nonprofit and at the same time provide a platform for your audience to engage with your cause. As a result, you also get a cool graphic T-shirt designed specifically for your cause for branding and fundraising. GreatNonprofits announced today that 29 organizations have qualified for the 2011 Top-Rated Social Justice Nonprofit List at the close of a month-long campaign in partnership with Alliance for Justice, The American Constitution Society for Law and Policy, EarthRights International, FreePress, Global Fund for Women, Equality Now, and Third Goal. 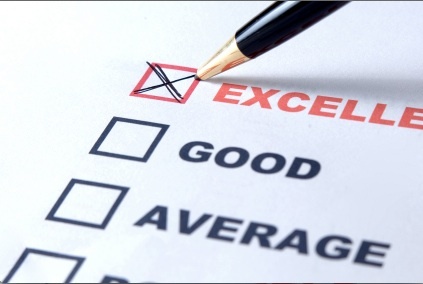 Organizations receiving ten or more positive stakeholder reviews during the month of July qualified for the top-rated list. During the campaign, a total of 125 nonprofits were rated and reviewed by thousands of clients, donors and volunteers across the country. The 668 reviews submitted during the campaign highlight the innovative ways that social justice organizations are changing the world. Alliance for Justice, a coalition of more than 100 organizations devoted to ensuring equality for all members of society, finished the campaign with a perfect 5-star rating as one of our partners. All of the qualifying organizations have show the vast ways in which nonprofits can help protect and advance the human rights and social justice initiatives worldwide. User reviews of personal experiences and examples also help nonprofits ensure they’re working in the right direction. The campaign also provided organizations with the ability to view site traffic for the month and expand lines of communication. “We are so pleased that we have been able to receive some great reviews—full of valuable feedback—from our allies, activists, and supporters. I really like the feature that allows me to see how many views our profile has received! We’ve received well over 900 views this month!” says Sara Longsmith of FreePress. The full list of Top-Rated Social Justice Nonprofits can be found at http://greatnonprofits.org/issues/social-justice. The 2011 Social Justice Campaign ran throughout the month of July 2011. Reviews appear on GreatNonprofits.org as well as on GuideStar.org and CharityNavigator.org. Organizations receiving ten or more positive reviews are listed as one of the 2011 Top-Rated Social Justice Nonprofits.